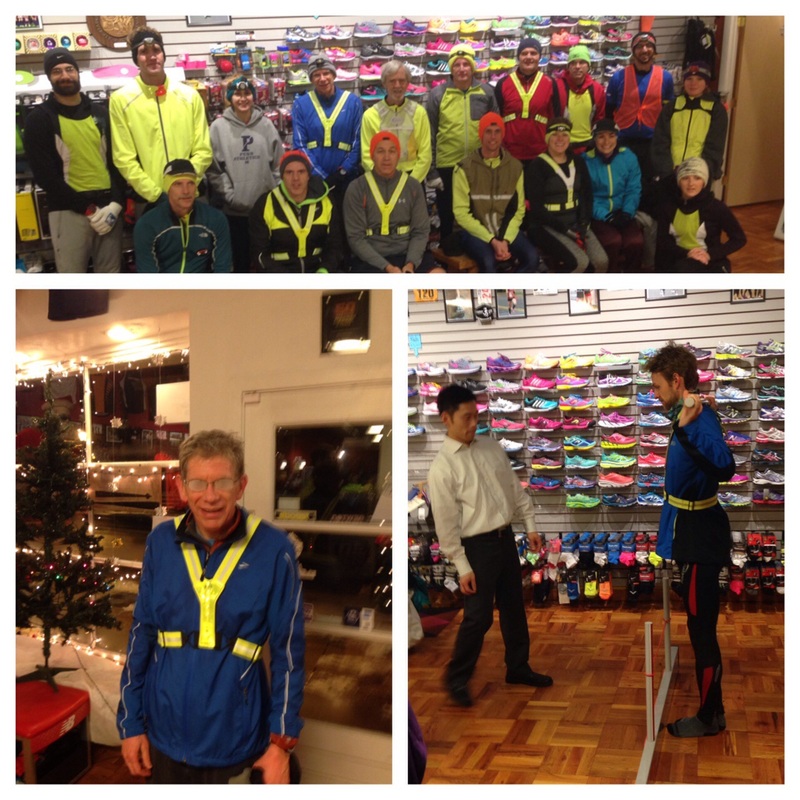 Tues 1/6 @ NWRC: welcome to Andrew and Danielle from PTW who performed range of motion testing on runners. Cold and snow did not stop this crew. Steve had a fog problem.